A direct cause of war in the Crimea was the coup d’état that brought Louis Napoleon (Napoleon III) to power in France in 1850. Louis Napoleon needed domestic support to create a Second French Empire, and in order to gain that, he needed to be seen as a “good Catholic.” The clearest way to gain this designation was to flex his muscles in the Holy Land. An added bonus was getting revenge on Tsar Nicholas I; the Tsar had sent a telegram to Louis Napoleon that began “Monsieur mon ami” instead of the more customary “Monsieur mon frere.” Napoleon III wanted satisfaction for the diplomatic snub. In February 1850, the Ottoman Sultan sent two keys for the front door of the Church of the Nativity to France. Meanwhile, the Sultan also sent secret assurances to the Russians that the two keys he sent to France would not actually fit the door. Regardless of this deception, the French seized control of the Holy Places in 1852. Tsar Nicholas saw this as encroachment by a “foreign” power, and an insult to his prestige and policy in the Near East. Russia had desired control over Turkish territory so expansion of their sphere of influence could happen peacefully. By this time, Tsar Nicholas was under the mistaken impression that Britain would not go to war to preserve the Ottoman Empire. This false assumption was furthered primarily because of a royal visit to Britain in 1844, where Tsar Nicholas spoke with George Hamilton-Gordon, 4th Earl of Aberdeen, who was then Foreign Secretary. Aberdeen’s understated policy and conciliatory approach to the Tsar gave Nicholas the impression that Britain would not go to war over Turkey. Aberdeen unfortunately took away the same view about Russia. Tsar Nicholas retained this mistaken impression by the time of the Crimean War because, in 1852, Aberdeen was named the British Prime Minister. In the same year, Henry John Temple, 3rd Viscount Palmerston, was named Home Secretary in order to form a coalition government. This was a curious appointment because Palmerston’s experience from 1807 was in the Foreign Office and not the Home Office. Jasper Ridley, one of Palmerston’s biographers, argued that the Crimean War could have been avoided had Palmerston and not John Russell, 1st Earl of Russell, been Foreign Secretary. In February 1853, with Russian troops massing on the Ottoman border, Palmerstone argued in Cabinet for a Royal Navy detachment to sail into the Dardanelles as a warning to the Russians. Aberdeen, whose policy leaned more towards pacifism, rejected Palmerston’s idea because of both policy and a hearty dislike for the man himself. This would not be the last clash between personalities in the British government, and historians have since argued that this instability contributed to the badly mismanaged war effort. Meanwhile, Prince Menshikov, a Russian diplomat, arrived in Constantinople on 2 March 1853 with the stated intention of winning Ottoman support for Russian intervention when it came to Orthodox Christians inside Turkish territory. However, Menshikov made a tactical error by opening with a condemnation of recent Ottoman concessions toward France inside the Holy Land. He also demanded the establishment of a Russian protectorate over all the Orthodox Christians inside Ottoman territory — both lay members and clergy — which amounted to roughly 12 million people. The Ottoman Sultan was terrified by the prospect of allowing Russian interference in his empire whenever Tsar Nicholas wanted, so the Sultan appealed to the Great Powers of Europe for aid. Stratford Canning, then the British Ambassador stationed at Constantinople, convinced the Sultan to reject Menshikov’s demands. Canning nearly promised British support to the Sultan, which would be overstepping his bounds in the extreme, but with little direction from London in how to proceed, Canning struck out more or less on his own. Toward the end of May, Menshikov departed Constantinople for St. Petersburg. He related his failure to Tsar Nicholas, which sparked the Tsar’s decision to send troops to the Moldavian and Wallachian borders. On 3 July 1853, Tsar Nicholas issued the order to invade the two Ottoman provinces. By this time, the British and French fleets were stationed in the Dardanelles, but were too far away and too small a show of force to deter the Tsar from his course of action. Interestingly enough, this run-up to the Crimean War showed similarities to the crisis in 1839 that led to concessions given to Mohammad Ali of Egypt. However, the cooperation between the Great Powers that lead to a peaceful resolution to that crisis did not exist now. Louis Napoleon began making noise in France with the Russian invasion of Wallachia and Moldavia, the incursion spooked Britain and sparked mobilization in the Mediterranean fleet, Austria-Hungary mobilized to protect their interests because Russia had crossed the Danube, and Prussia mobilized because Austria-Hungary mobilized. However, the big difference that led to war in the Crimea was the lack of emphatic military support for the Vienna Note. Whereas in 1839, the Great Powers put troops in the field to force acceptance of the London Conference’s decision, there was no similar action with the Vienna Note. As a consequence of this lack of a strong position by the Allied Powers, the Ottoman Sultan rejected the provisos of the Note and declared war on Russia in October 1853. The Turkish Army crossed the Danube on 28 October at Kalafat, where they engaged the Russian forces. Another front was joined in the Caucasus Mountains, and the Turks enjoyed successes on both the Danubian and Caucasian fronts. In the Caucasus, the Ottoman forces were aided by Chechen Muslims. These initial Ottoman successes led Tsar Nicholas to deploy a fleet of warships in the Black Sea. The result was the Battle of Sinop in November 1853, where Russia completely destroyed the docked Turkish fleet of seven frigates and five corvettes. The Battle of Sinop gave the French and British the cause they needed to declare war on Russia in March 1854. Austria and Prussia both declared their neutrality in the conflict in April of the same year; Austria became politically isolated after 1856 as a result of Emperor Franz-Joseph’s refusal to commit to either side. It was this refusal to join the Crimean War on either the Allied or Russia side that left Austria without allies when Prussia attacked the empire in 1866. Calling the Crimean War grossly mismanaged is akin to saying that most of Victorian London did not have access to quality sanitation. 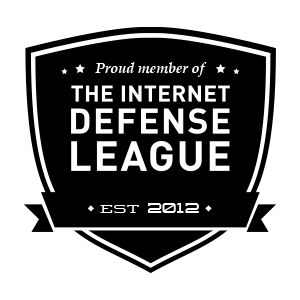 Among the Allied forces, there were seven distinct and independent authorities vying for control over operations. This resulted in poor communications, a labyrinthine supply chain, duplication of responsibilities, and jealousies on all sides. It also didn’t help that Lord Raglan, the commander-in-chief of the British forces, was the only upper-level officer to have seen combat, and that was with the Duke of Wellington in 1810. The mismanagement of the war is best shown by the charge of Lord Cardigan’s light brigade at the Battle of Balaclava, during the Siege of Sevastopol. The disaster was immortalized in the 1854 poem, “The Charge of the Light Brigade” by Alfred, Lord Tennyson, who was poet-laureate at the time. Lord Raglan, the British commander-in-chief, had ordered Cardigan’s light brigade to prevent the Russians from stealing the British guns. In the order copied down by General Airey, Raglan was completely unspecific as to which guns he spoke of. From his position on the Causeway Heights, Ragland had a clear view of the entire battlefield of Sevastopol and thought the location obvious. However, Lord Cardigan and his light brigade were in the valley. 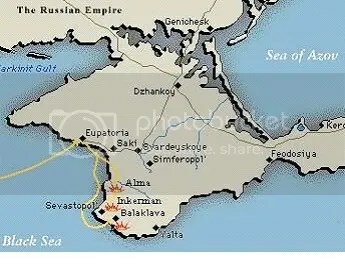 The only guns they saw were 2 miles distant protecting Sevastopol. Captain Nolan, who carried the order to Cardigan, was similarly unhelpful because he chafed against the lack of action heretofore taken by the cavalry during the Crimean War. The infantry had made dozens of jokes at the expense of the cavalry, and Nolan wished to engage the enemy to prove the cavalry was still worthwhile. Thus Cardigan led his brigade on a charge against the Sevastopol guns. The men in the first Russian batteries were so shocked that they didn’t fire on Cardigan or his men. Then, the massacre began. Cardigan was 50 yards ahead of the rest of his brigade and was the first in and the first out. He raced away, leaving the rest of his men to find their own way back. By the time all was said and done, only 195 British cavalry out of 670 (Tennyson’s poem says 600) survived the sortie. The great gale of 14 November 1854 didn’t help matters: the gale sank 30 ships in Balaclava harbor, thus destroying £3 million worth of stores, equipment, and supplies right when the Russian winter was about to set in. The inept and corrupt nature of the British Commissariat only added to the difficulties in re-supplying the troops in the Crimea. The Allies had prepared only for a summer campaign, and had to make do with summer tents, summer uniforms, and precisely zero cold-weather gear. Men froze to death in the trenches, suffered from dysentery and cholera, and of starvation from the lack of food. The extras such as chocolates, cigars, and socks that were gathered in Britain never reached the common soldier. If the Commissariat didn’t steal, sell, or outright lose the goods, then many of the officers would hoard the extra supplies for themselves. Adding to this corruption and mismanagement was the lack of reliable transportation from Balaclava harbor to the front. In what can only be described as an earth-shattering decision, the Times of London sent William Russell to the Crimea as their eyewitness war correspondent. Using the modern technology of telegraphs strung throughout Europe, Russell shined the proverbial light on the poor living conditions of British troops in the Crimea, the mismanagement of the war effort, and the inept corruption of the Commissariat. More than anything else, Russell’s coverage of the war turned public opinion against the Earl of Aberdeen’s government. Sheffield MP John Arthur Roebuck tabled a vote of “No Confidence” in January 1855, and the resulting majority approval led to Aberdeen stepping down on 1 February. Queen Victoria searched high and low for a replacement Prime Minister. She asked Lord Derby to form a government, but he was unable to do so. Similarly, she asked former Foreign Secretary John Russell, but only Lord Palmerston was willing to work with him. Finally, at long last, she asked Palmerston to form a new government. Palmerston took over as Prime Minister on 4 February 1855. A titanic shift in British management of the Crimean War happened almost instantly, though not entirely due to Palmerston’s efforts. Supplies got through to the troops, Florence Nightingale was having success treating injured soldiers in Turkey, and on 17 February the Turks defeated the Russians at the Battle of Eupatoria. Palmerston accelerated the improvements by appoint Lord Panmure to the War Office, and created a new supply and transport department at the Admiralty which circumvented the Commissariat. Even with these changes, however, and the addition of Piedmont-Sardinian troops hoping for support in Italian Unification, it still took until the summer of 1855 before the conflict finally wound down. Several things accelerated the end of the Crimean War. Tsar Nicholas died in March 1855, leaving Russia to his son Alexander. Alexander wanted peace, but Palmerston convinced Napoleon III to hold off on negotiations. Palmerston was convinced the Allies could take Sevastopol, which would place them in a better negotiating position with the Russians. 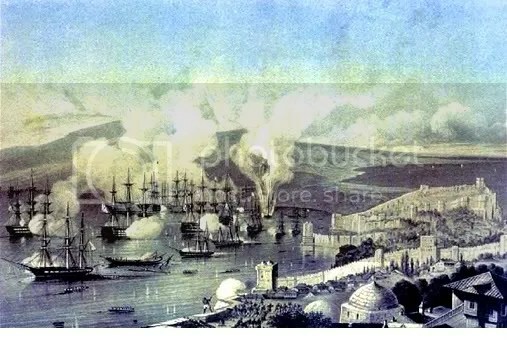 Sevastopol fell in September 1855, ending the yearlong siege of the city. The Treaty of Paris was signed in March 1856, thus officially ending the Crimean War. Russia and Turkey withdrew all their armies from the Black Sea coast, and Britain and France withdrew their forces as well. The peace was to last until the 1870s, when old alliances failed and new alliances were formed in yet more moves among the players in the Great Game. In the 1830s, with the Russians subduing one khanate after another in Central Asia, the British feared for their sovereignty in India. While other parts of the Empire dealt with Mohammad Ali in Syria and managed the Eastern Question in Turkey, the British forces in India feared for their safety against the Russians. A single Russian envoy sent to Afghani Emir Dost Mohammad Khan was conflated into the possibility of a Russian invasion through the Khyber and Bolan passes. The British sent an envoy to Kabul in 1837 to form an alliance with Dost Mohammad against the Russians. The Afghani emir wanted British help to re-capture Peshawar, which the Persians had invaded in 1834. Britain refused, and so Dost Mohammad turned to the Russians for aid. Lord Auckland, the Governor-General of India, took this to mean that the Afghanis were pro-Russian and anti-British. Secure in this knowledge, Lord Auckland launched the First Anglo-Afghan War to install a puppet regime under Shuja Shah Durrani. The intent was to have a completely friendly ruler in Kabul; one the British could count on to hold the Russians back. Though the invasion and occupation of Kabul was a success, the regime installed by the British was not. Of the 21,000 British and Indian troops sent into Afghanistan (first under the command of Sir John Keane, who was successively replaced by Sir Willoughby Cotton and then by William Elphinstone), only 8,000 remained with Shuja Shah in Kabul. This proved an unmitigated disaster, as by October 1841 disaffected Afghanis flocked to the banners of Mohammad Akbar Khan, Dost Mohammad’s son. British soldiers were under attack constantly, and the lack of response to the death of Sir Alexander ‘Sekundar’ Burnes and his aides at the hands of a mob in November 1841 only further emboldened Akbar Khan in his efforts to expel the British from Afghanistan. Sir William Hay Macnaghten set up a meeting with Akbar Khan in December 1841, but he and the three officers accompanying him were seized and slain by the Afghani leader. Macnaghten’s body was dragged through the streets of Kabul and displayed in the bazaar. Elphinstone realized the cause was lost, and on 1 January 1842 made arrangements for the safe exodus of the British soldiers and their families from Kabul. Five days later, the withdrawal of the 4,500 soldiers and 12,000 camp followers began. However, the flight from Afghanistan was anything but peaceful. Over the course of the next week, the British and their camp followers engaged in a running battle with Ghilzai tribal warriors as they struggled through the snowbound Khyber Pass. Only one man survived to reach the relative safety of Jalalabad, 90 miles way, and that was Army Surgeon Dr. William Brydon. “Dr. Brydon only narrowly escaped death by dulling the blow from an Afghan sword with a copy of Blackwood’s Magazine, stuffed into his helmet for warmth. 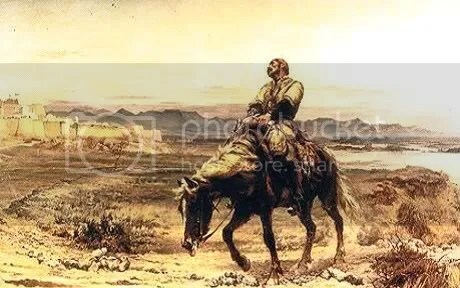 The incident dealt a severe blow to English ambitions in AfPak and marked a turning point in the First Anglo-Afghan war (Generalissimo).” Initially, it was believed only Brydon survived the flight from Kabul. Rather, the truth is that eight British officers were taken captive by Afghan forces during the trip south. After the massacre of Elphinstone’s army, the British launched a punitive campaign against the Afghans from their bases in Kandahar and Jalalabad. Lord Ellenborough, the Governor-General of India who replaced Lord Auckland due to the latter suffering a stroke, was under orders to bring a swift end to the war. Thus Ellenborough ordered punitive action taken against Kabul and the successive departure of the British from Afghani territory. 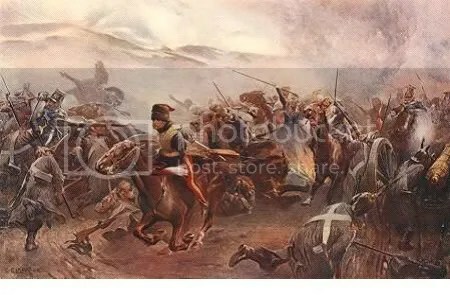 It was this campaign in 1842, resulting in the British Army torching the great open bazaar at Kabul, which truly ended the First Anglo-Afghan War. In the intervening twelve years, Dost Mohammad regained the throne of Afghanistan and focused on consolidating his hold over the country. He successively re-conquered Mazari Sharif, Konduz, Badakhshan, and Kandahar, and by 1848 set his sights on Peshawar. With the Sikh Empire’s subjugation at the end of the Second Anglo-Sikh War in 1849, however, Dost Mohammad’s last attempt to take Peshawar failed. And the Great Game moved ever onward. Tune in on Friday for Part III. Matthew Delman is the creator of Free the Princess, a “practical literary guide” to Steampunk, as well as the Founder/Editor of Doctor Fantastique’s Show of Wonders, an online Steampunk magazine. 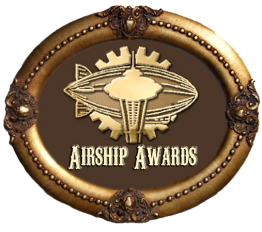 He writes on Steampunk (and Social Media topics) from his home in Eastern Massachusetts.